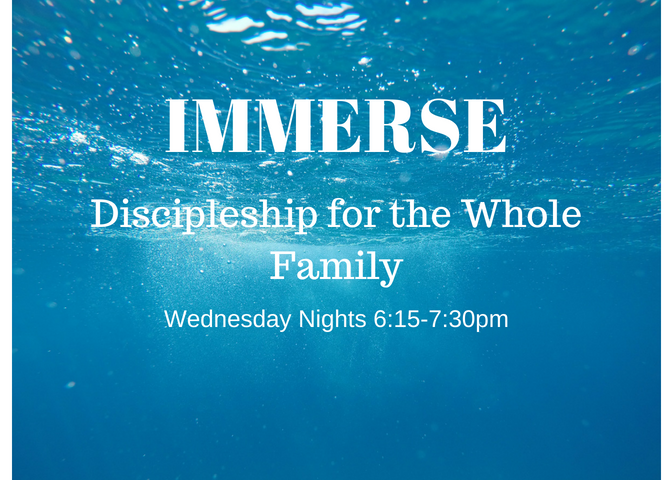 Immerse classes are a way for the body at New Life to be further equipped for their works of ministry (Ephesians 4:12). Our children’s ministry seeks to provide a foundation (the love of Christ) for children to grow on. Our conviction is that parents are the primary disciplers of their children. Therefore, It is our goal to aid parents in providing tools children need for a deeply-rooted faith in Jesus Christ, a desire to be obedient to Him, and a love for Him that will remain throughout their lifetime. **Young adults (high school students) are encouraged to join any of the current adult studies.